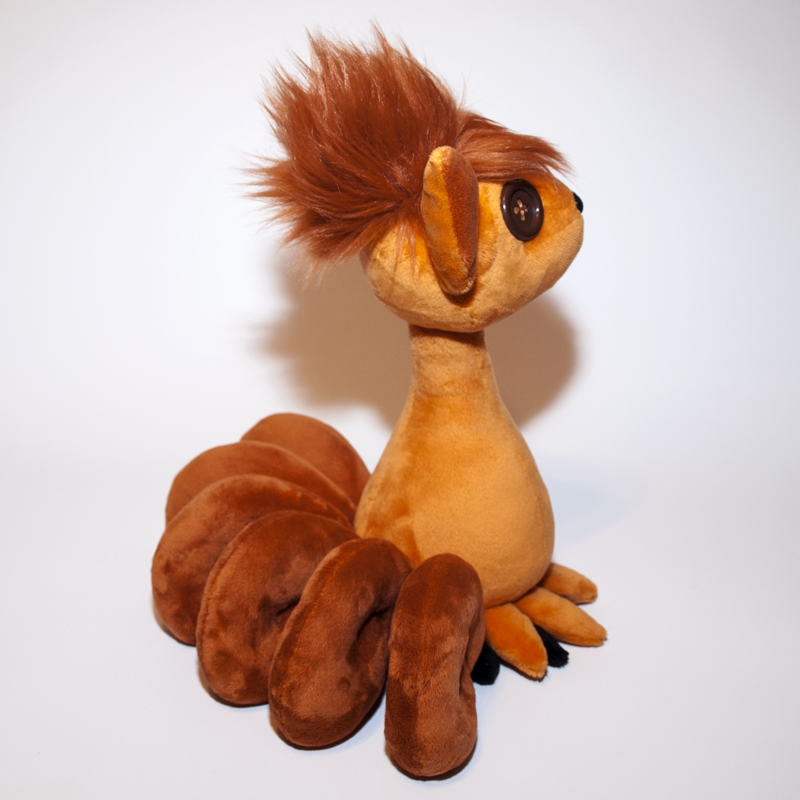 Materials: Minky, faux fur, button eyes, embroidery thread. Mimikyu is a ghost/fairy type pokemon who tries to be likable by mimicking the appearance of popular pokemon, such as Pikachu. 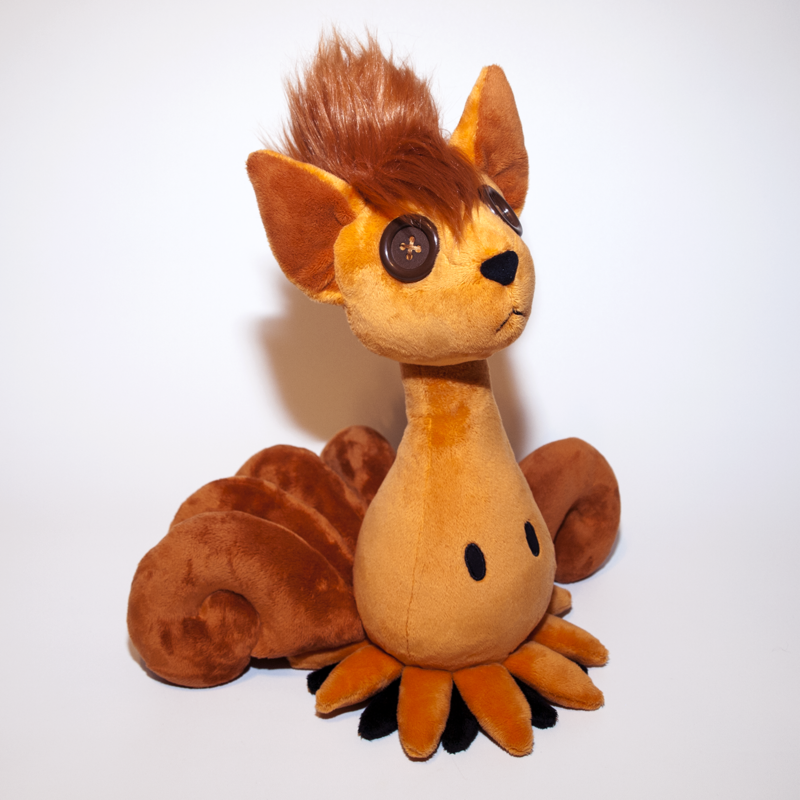 This particular Vulpix design is based on a drawing by a fan artist who has created dozens of Mimikyu inspired designs, and you can view all of their creations here. 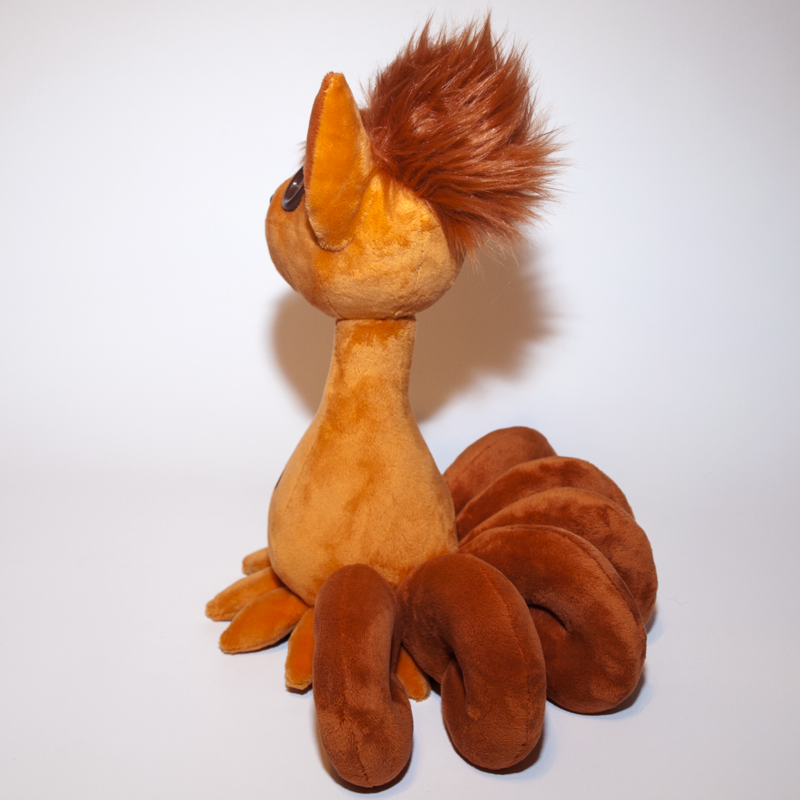 :) Permission to turn their design into a real life plush was granted just by providing them credit for the original design, so please check out their other works! 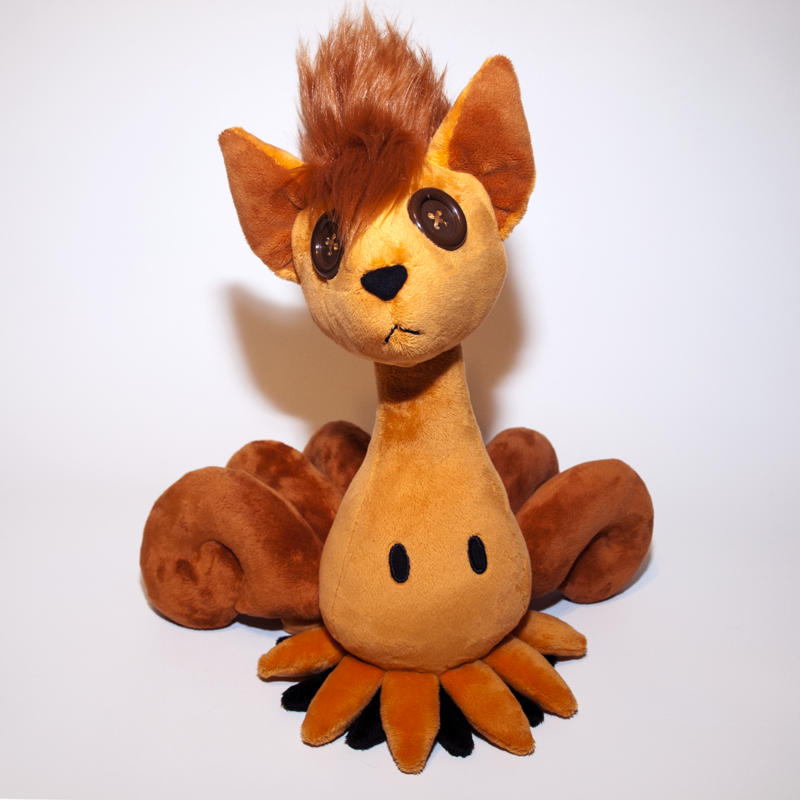 Mimikyu-Vulpix is made from minky for a very soft and high quality look, with high quality faux fur for his head tuffs. 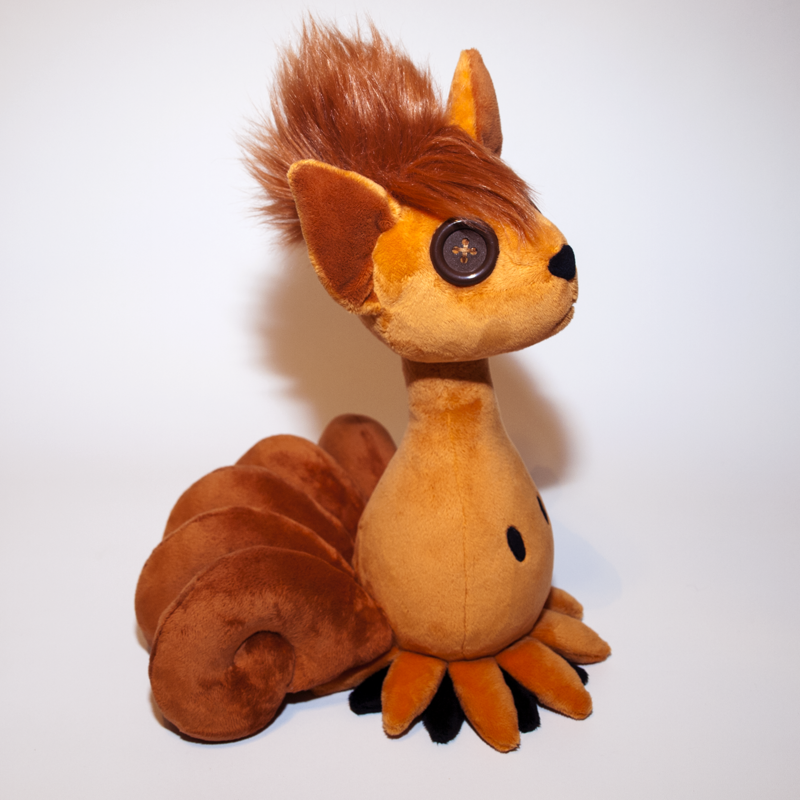 His eye holes are embroidered by machine for a clean, high quality appearance, and his Vulpix face is made with large plastic buttons and embroidery floss, for a cute but rougher hand-stitched appearance. 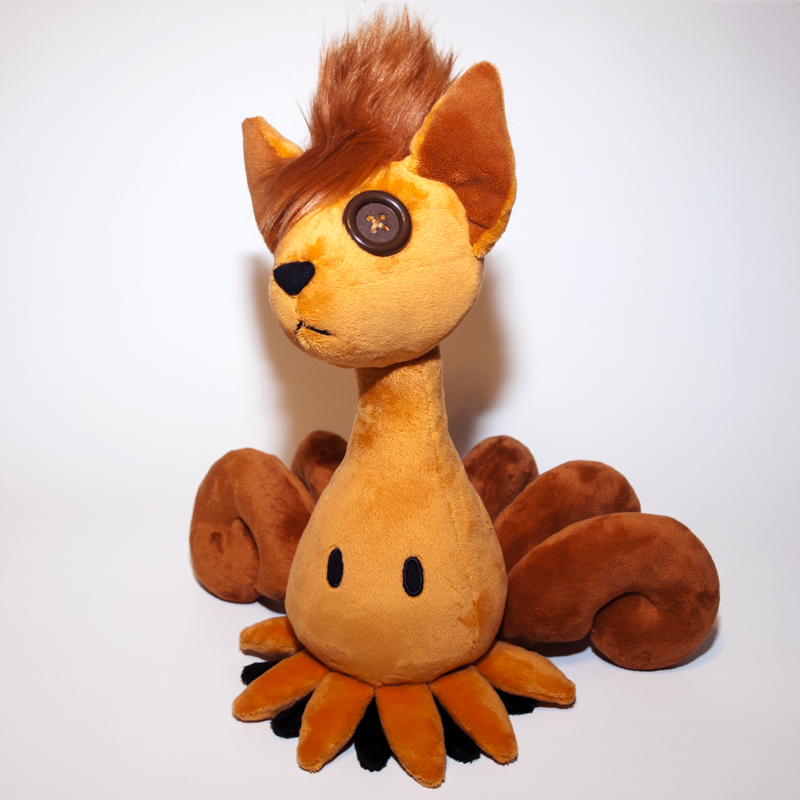 The base of his body is filled with plastic pellets for a slightly weighted and extra floppy quality, to provide both movement to his base, and support so he does not fall over from the weight of his large Vulpix head.